Adafruit has today announced the addition of new products to its range of electronics components, with the availability of a selection of Particle Photon board options and accessories to suit a wide range of different projects. 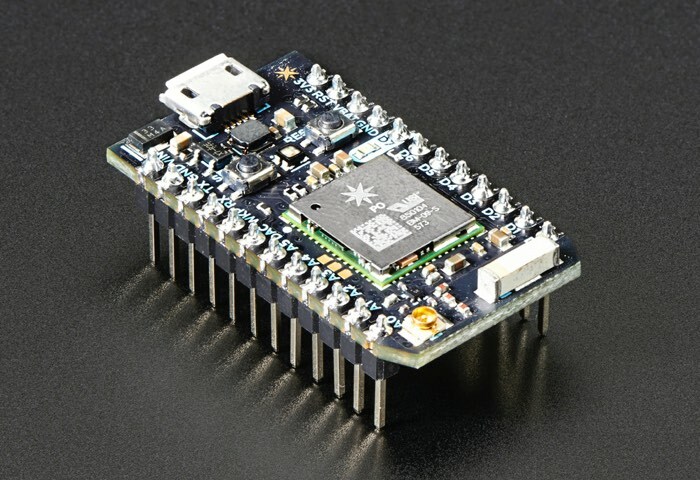 To recap the Adafruit Photon development board is a small wireless kit that offers cloud connectivity and can be used for creating connected devices such as projects for the Internet of Things and more. The tools that make up the Photon’s ecosystem (and come along with the board) are designed to let you build and create whether you’re an embedded engineer, web developer, Arduino enthusiast or IoT entrepreneur. You’ll be able to write your firmware in our web or local IDE, deploy it over the air, and build your web and mobile apps with ParticleJS and our Mobile SDK. The board itself uses a Broadcom WICED Wi-Fi chip (one that can be found in Nest Protect, LIFX, and Amazon Dash) alongside a powerful STM32 ARM Cortex M3 microcontroller. It’s like the Spark Core, but better! The WICED chipset is much faster than the original CC3000 in the ‘Core and also supports SSL and Soft-AP mode. The Adafruit Photon development kit is now available to purchase priced at $19 and is available with or without headers. Also available is a new Particle Shield Shield for Photon that has been designed to convert the footprint and pins of the Photon To make it compatible with the Arduino platform. For more information jump over to the Adafruit website via the link below.